I am advanced in age but not old (yet). To help me to enjoy my longevity I am attempting to move away from cow's milk products to that of either goat's or ewe's milk products and hence my interest in this site. 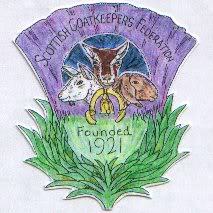 I reside with my wife at Kirriemuir and over the past few years our interest in food has moved towards natural, organic, and traditional methods of cooking so we are hoping to be able to obtain goat's milk products locally if we can trace a keeper. Meantime, why are so many goat keepers women (which is not a complaint)?